Munich - Borussia Dortmund's Jürgen Klopp felt that Lady Luck deserted his team after the 2-1 defeat to Wolfsburg, but Matchday 12 was a weekend of celebration for his rival Pep Guardiola at FC Bayern München. Wolfsburg head coach Dieter Hecking: We had two or three good chances in the first half, which we might have converted with a bit more luck. After we got the equaliser, the players found a second wind and believed they could win the game. It wasn't undeserved because we put a lot into the match. It's a great win and we're all delighted. 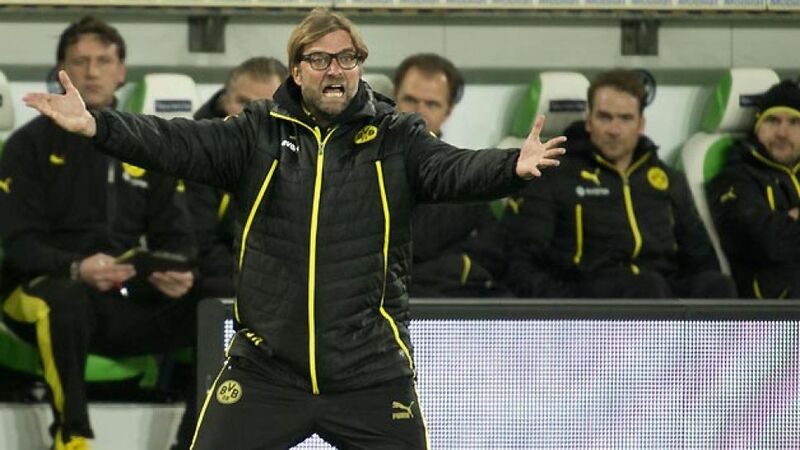 Dortmund head coach Jürgen Klopp: It was a tight game. In the first half we had some good moments, but not enough, and we made it too easy for them. We came close to scoring a second, then they equalised and Olic scored a screamer. In certain situations, everything went against us. Bayern head coach Pep Guardiola: We started the match well and the early goal made it easier for us. After that our level dropped, but we improved in the second half, controlled the game and created chances. I hope the players all come back fit after the international break. Augsburg head coach Markus Weinzierl: Bayern are an unbelievably strong team and we saw first-hand how much quality they have, especially in possession. Conceding so early threw our gameplan out the window somewhat. We might have done more in the game, but I think we lacked a bit of belief. Mönchengladbach head coach Lucien Favre: Nürnberg played very well and were simply better than us in the first half; a lot of people forget how well they can play. We knew they would tire, though, and we gambled on that. We managed to turn the game around and the three points are very welcome. Nürnberg head coach Gertjan Verbeek: We started well and had two or three great opportunities in the first 20 minutes. I was very pleased with our first-half display, but Gladbach improved in the second half and we became tired. It's not a good result for us, even though our performance was good for long spells. That gives me confidence that the results will come sooner or later. Freiburg head coach Christian Streich: To be honest, the injuries we've been experiencing are pure madness - things are happening which you can hardly believe. We had six players on the bench today, four of whom were carrying knocks. In the second half we played well and deserved the goal we scored. It was just a shame we conceded twice so early on. Stuttgart head coach Thomas Schneider: Obviously I'm delighted with my team's performance. We didn't put a foot wrong in the first half, we were very compact, countered well, and controlled possession. In the second-half we started positively, and although one or two errors led to their goal, we reacted well and deserved to win. Mainz head coach Thomas Tuchel: For us, it was the perfect sequence of events to conclude the derby. We put in an unbelievable amount of effort, played better in the second half and got our reward late on. Those types of victories are the sweetest. Frankfurt head coach Armin Veh: We dominated for 75 minutes but after that we weren’t able to play our game. The goal is pretty typical of our season, and competing in three competitions is obviously taking its toll. It'll start becoming easier when we stop getting results like this. Hannover head coach Mirko Slomka: I thought the atmosphere on the field was competitive but also fair. We fought well but I should highlight just how disappointed we are. We played much better football than Braunschweig, just as I'd expected, but missed a lot of the chances. Braunschweig head coach Torsten Lieberknecht: It was another important experience, but it was just as important to play with passion, which we did. We battled well and had a good defensive structure throughout. We can definitely play better football, but we'll take a point and a clean sheet, and keep developing.